Finding a premium quality auto shop in Vaughan is easy when you choose Pfaff Autoworks! Our facility is located at 214 Courtland Avenue in Vaughan, ON, and we take great pride in providing our valued customers with high quality collision repair services. We are a division of Pfaff Automotive Partners – an Ontario based automotive dealer-group that retails the Audi, Porsche, BMW, Toyota and Volkswagen brands. Our group also offers other automotive related services which include: Pfaff Leasing (Vaughan, ON), Pfaff Tuning (Vaughan, ON). If you are looking for an auto shop in Vaughan that can repair your vehicle using the procedures and parts that are specific to your type of vehicle, then Pfaff Autoworks is the place for you. Having your vehicle repaired at a certified collision centre is the right choice. And it’s your insurance company’s obligation to follow your wishes. Modern cars today are made up of an intricate network of wires, motors, sensors, switches, and batteries held together with advanced materials and construction techniques. This is why taking your car to a modern auto shop in Vaughan like Pfaff Autoworks is the best decision you can make for your vehicle. When we are in the process of repairing our customers vehicles, we must make sure that all the internal systems of the vehicle are functioning properly as well as repair the external issues. This takes a substantial investment in tools and equipment, training and technology, and the exclusive use of OEM parts, paint, and procedures. 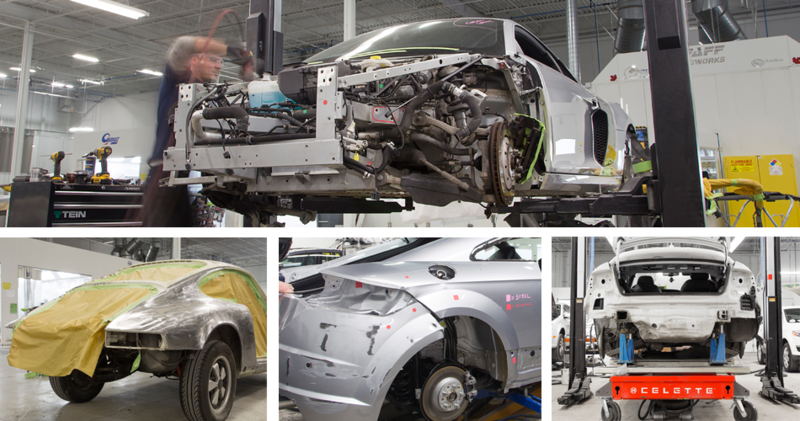 At our auto shop in Vaughan, we fix your car they way it was built and with modern multi-material structures. Your vehicle will be repaired using factory finishes and procedures and returned to you looking brand new and functioning that way to. For more information about our auto shop in Vaughan at Pfaff Autoworks, please feel free to continue browsing through our website. We can be reached at 1-866-674-3927 or by filling out our contact form.